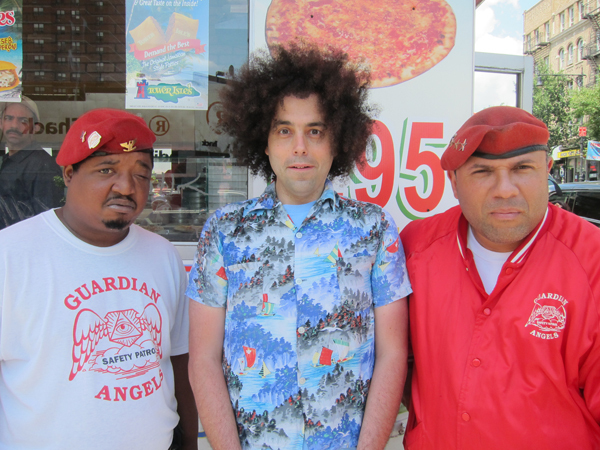 Frankie's Apartment: The Guardian Angels and Me on W.207th St.
Rubbish and I were up in Inwood yesterday, where we ran into Melvin and Lou, the Guardian Angels who protect the sector around the pizzeria on 207th and Vermilyea Ave. We discussed the fading style of old New York, security issues in Inwood Park, and what the dangers are in the neighborhood that I'm from - Astoria, Queens. They tried to convince me that I should head a campaign to start a safety patrol chapter out there. I don't think I'm really the man they're looking for but I'd love to get my hands on one of those t-shirts. And one of those berets. And that jacket. It's safe to say that I've missed the point again. 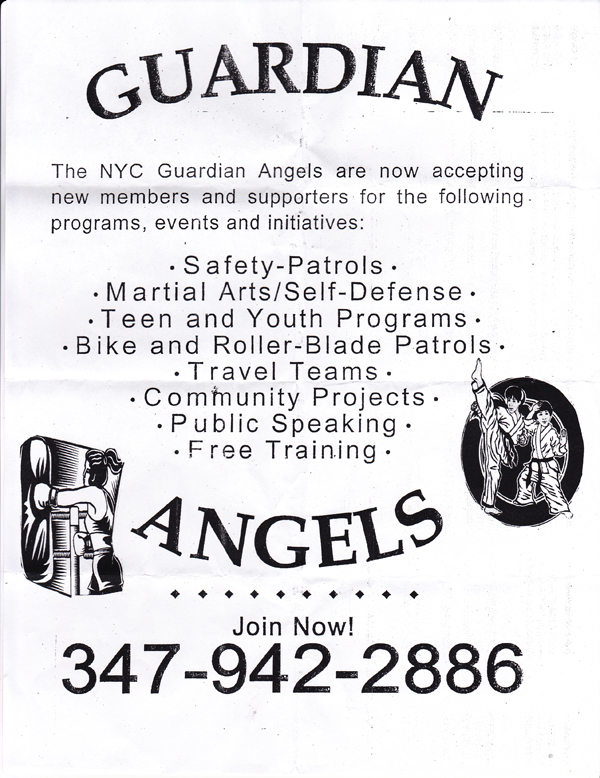 They gave me this flyer and took my information, and were all around a good buncha guys. I don't think they liked Rubbish (the rat) too much, but he was trying to play it cool with them, and Guardian Angels just don't put up with that hard-to-get nonsense. I was so happy to have met up with Melvin and Lou, and I was so excited to see the photo, but when I downloaded the pix onto my computer I saw that Rubbish made me look like a big fat-face. To go further against what the Guardian Angels are all about, I hit Photoshop for 15 minutes, doing a Cosmo airbrush job on myself - making me look like I do in my head. But in the end I decided to embrace the wise look of neck-fat. To teach myself a lesson about vanity, junk food consumption, and always making sure to make a good model-face, I made a gif for you guys to enjoy.